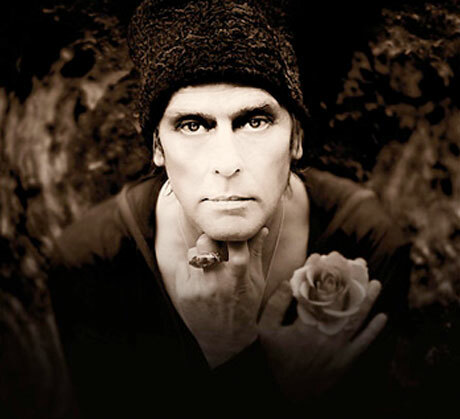 Earlier this month, UK goth pioneer Peter Murphy revealed plans to celebrate 35 years of Bauhaus with the "Mr. Moonlight Tour," a hefty trek with dates all over the globe. The future of that tour is now uncertain, however, as the artist has been arrested. According to the L.A. Times [via Consequence of Sound], Murphy allegedly crashed into another vehicle and fled the scene in Glendale, CA, on Saturday (March 16). Murphy was arrested on suspicion of "causing injuries while driving under the influence of drugs or alcohol, felony hit-and-run, and possessing methamphetamine." A witness reportedly tailed the artist following the accident because "he was afraid [Murphy] would kill someone with his driving." As of press time, Murphy remains in police custody. His tour dates are available below, though it's unclear if they'll still happen.